Believed to have been built circa 1875, this house was occupied in 1880 by Reuben B. Wilson, an Augusta grocer. 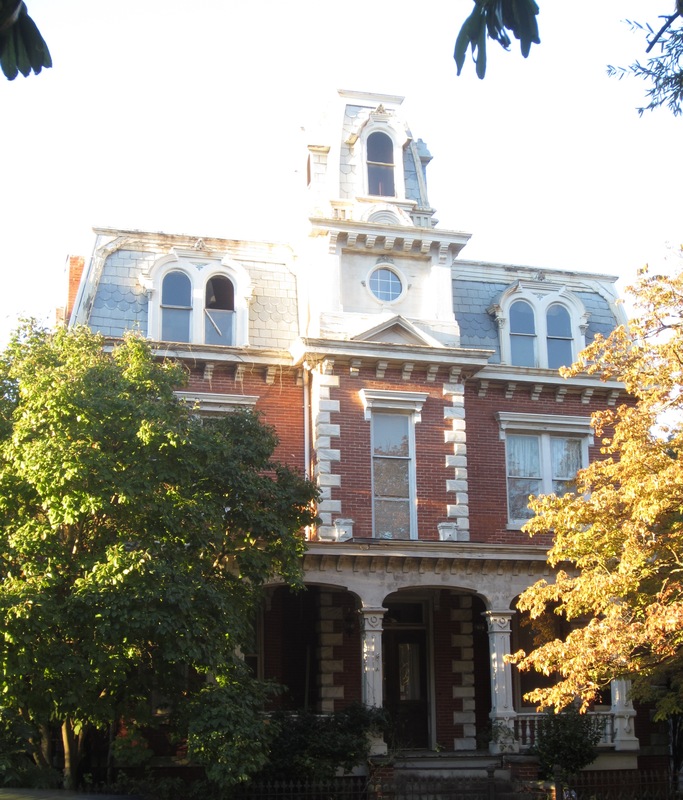 Zachariah Daniel occupied the home by 1891, and it is generally known as the Daniel House. Daniel was also a successful grocer in Augusta. This is the most outstanding and sophisticated example of the Second Empire style in Augusta. 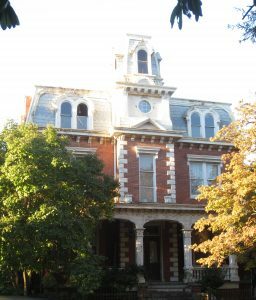 Elements of the Second Empire Style that are notable include the slate mansard roof, a signature element of any Second Empire building, but also the heavy quoins, bracketed eaves, hooded windows, and central tower room. As mentioned in the description of the Perkins-Cullum House, preservation and rehabilitation of this house is important to document and explain the role that Greene Street had as a major residential area within downtown Augusta and was home to some of the city’s most influential and affluent citizens. Preservation Tools: (1); A contributing resource in the Augusta Downtown Historic District, which is listed on the National Register of Historic Places, and is therefore eligible for all programs of the National Register which include available grant funds and tax incentives for certified rehabilitations; (2) located in the Augusta Downtown Local Historic District which means that any alteration to the exterior, including demolition, should be approved by the Augusta Richmond County Historic Preservation Commission.